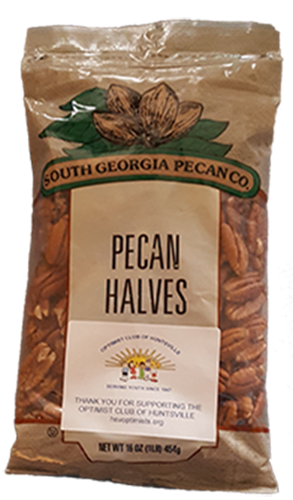 For our annual fundraiser to support our club, in early November we sell 1 lb bags of Fancy Mammoth Pecan Halves at $12 a bag. These are the best the Southland has to offer! One bite of these Mammoth Pecan Halves and you will be in love with how delicious they are. Great for your favorite recipe or just by themselves. They also make great gifts! ..